Ahead of the release of his next artist album, Howie B takes two tracks from it and serves them up on his own label. It’s the first release on the new HB Recordings imprint and the album, ‘Down With The Dawn’, will be the UK talent’s first in five years. 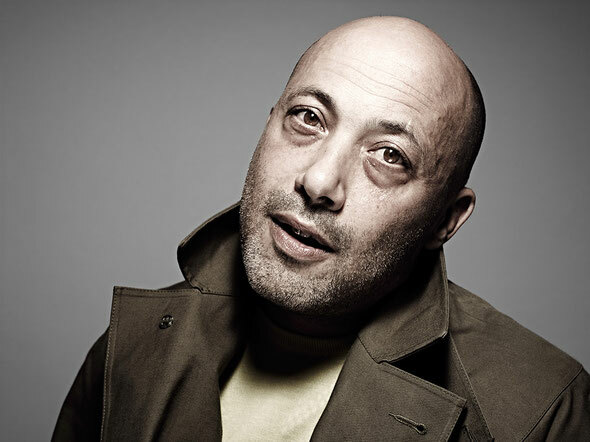 Howie B is possibly one of the true polymaths of modern music. From working with Soul II Soul on their seminal ‘Club Classics Vol. 1’ to being a lynchpin of the trip-hop scene in the 1990s, to writing songs for Björk, to producing for U2, working with fabric’s Craig Richards and remixing Placebo and Annie Lennox, his musical oeuvre is rarely paralleled in its diversity and significance. ‘Frankies City’ is the first track that Joe Hirst and Howie have co-written and produced together after seven years working on a producer and engineer basis. It was all done in one day in London and employs various synths, both soft and hard, to create its deep groove. Featuring corrugated, bumpy drums and percussive hooks, a nagging synth line runs through the whole arrangement as more swirling sci-fi sonics weave about in the background. ‘Authentication’ is a collaboration with a visual artist from Italy called Fabio Paleari and was made for an exhibit in Turin. The inspiration was allegedly strip poker and the whole thing is sampled based using an Akai S3000. It’s a beat-less piece that features emotive string manoeuvres, sombre minor chords and uplifting wind instruments and is filled with evocative and sunny imagery. It’s out now on HB Recordings.